Looking for a fun and free 100s Day activity that addresses character education and social skills? 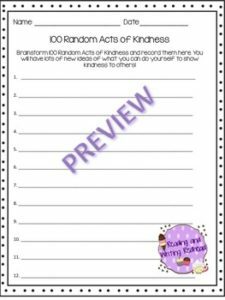 Try this freebie which would be a great accompaniment to your social skills and character education lessons. Students brainstorm and record 100 random acts of kindness. Could be an individual or buddy activity. Then they have a resource with tons of ways they could show kindness to others! Please let me know if there is anything to fix by using the “Ask seller a question” feature. I’d love to fix it before you give feedback. Cette ressource gratuite est parfaite pour pratiquer les inférences. 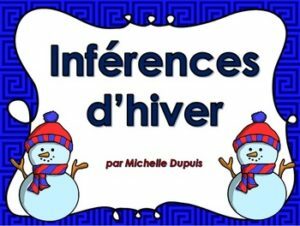 – 8 cartes d’inférences sur le thème de l’hiver. Je vous recommande de suivre mon magasin TpT Michelle Dupuis afin d’être informé des nouveaux produits, des produits gratuits et des soldes. Droits d’auteurs: Ce document est à l’usage exclusif de la personne qui a acheté les droits. Toute reproduction est interdite. 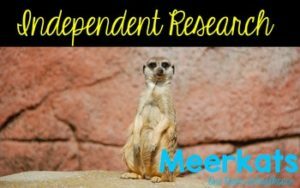 Help your students help themselves! While friends and family are devising New Year’s resolutions, this FREE Study Habits Self-Help Test assists students in making a resolution to improve study habits. It can be used as a group exercise or individually. 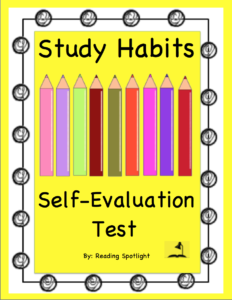 Also available FREE in the Reading Spotlight Store are Self-Help Tests to improve reading habits; two are available, one for Grades 1-2, and one for Grades 3 & Up. 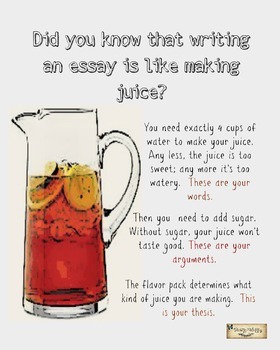 The Juice Metaphor is a little visual that I use in my class to help students understand the parts of the essay. They often think that writing more will get them a better grade. Of course, this is not necessarily true. This is a great visual in the classroom. 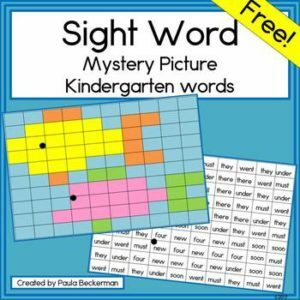 Make sight word practice fun with my sight word mystery pictures! 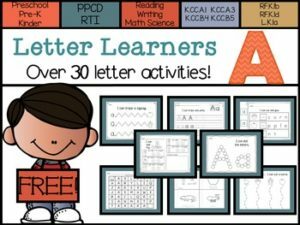 This free resource will have your students eagerly reading primer level words and coloring by code to discover the mystery picture. Words practiced are: under, they, went, must, new, four, soon, he, ride, will & there. There is no prep. 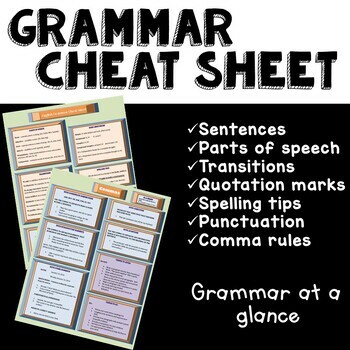 required, simply print and go – perfect for morning work, homework, early finishers and more! Three Little Pigs Sight Words Game. Sea Turtles 2 Differentiated Booklets. Thank you for visiting Paula’s Preschool and Kindergarten. All new resources are 50% off for the first 48 hours. To be notified when new activities become available, and of upcoming sales, please click on the green star below my store name and follow me. Followers and feedback are greatly appreciated! – purchase additional licenses for others at a discount. To do so, go to your “My Purchases” page on TpT, locate the resource, and choose “Buy Additional License”. Studies have shown that science classes often introduce more new vocabulary words than a foreign language class. In this free video, I offer some tips and tricks and suggestions for how to use game formats to teach, review and reinforce new science vocabulary words. 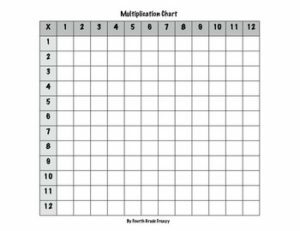 Grab this free blank multiplication chart because sometimes you just need one! Be among the first to know about sales and new products! Click the green star to follow my store. 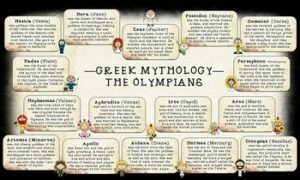 You can use this Freebie Poster as an Introduction to any Mythology Unit and with almost any Greek & Roman Mythology book. Perfect for a Pre-Activity for the Iliad, the Odyssey, and the Aeneid! Please feel free to ask any questions—I will definitely respond to all inquiries in a timely fashion. Mythology Ultimate Resource Bundle: 14 Products! 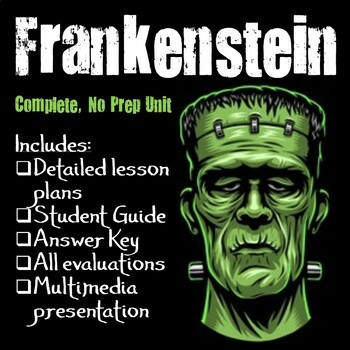 Assess your students’ knowledge of literature with this fun and creative evaluation. Not only will your students learn by creating a game, but other will learn as well by playing it. This rubric was created to help students understand exactly what is expected of them for this evaluation. It is also an excellent tool to assess students’ progress and final product. 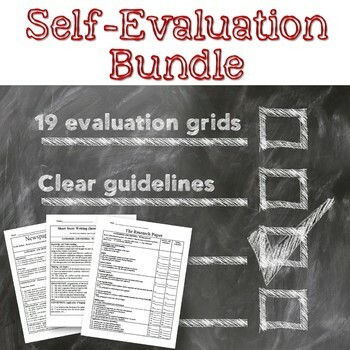 This self-assessment rubric is part of the bundle as well. Self-evaluation grids are a great way to guide students in their evaluations. Students will know exactly what is expected of them and will be made responsible for their own success. This package can also easily be changed to be used as peer-evaluations. E-MAIL ME at teachwithpassion101@gmail.com Be sure to include your e-mail address and buyer’s name. I will send you an attachment directly to your e-mail address. 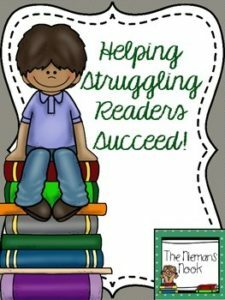 Analyze instructional practice, student assessments and current reading behaviors to determine the best next steps to help struggling readers (at F&P Levels A-C) close the achievement gap. 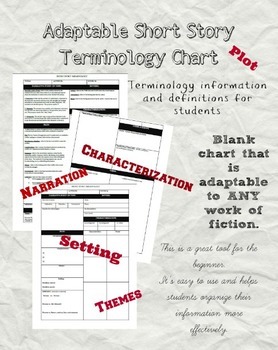 This file is meant to help classroom teachers and interventionists working with kindergarten-second grade students to identify specific areas of strength and weakness and then to create a set of goals and an instructional plan to remediate identified weaknesses in a more efficient and effective manner. Perfect resource to use during child study teams or committee for special education services meetings. I hope that you find it useful! Emergent Readers Growing Bundle-a book for every week of the school year! I add new products and freebies frequently. I would love for you to follow me to get email notification of new product uploads! ‘Like’ me on Facebook for exclusive fan freebies, giveaways, and sale announcements! New Years Reflection updated for 2017-2018! 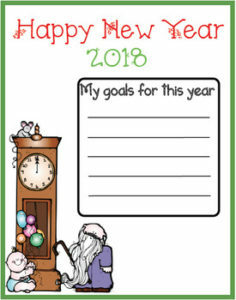 Here is a printable New Years reflection activity to use with your students! 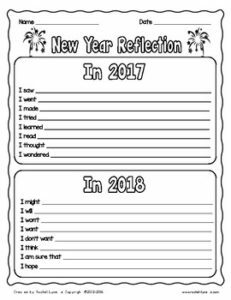 This is a great way to have your students reflect on the old year and think about what they are hoping for in the new one. You might want to send it home before winter break. 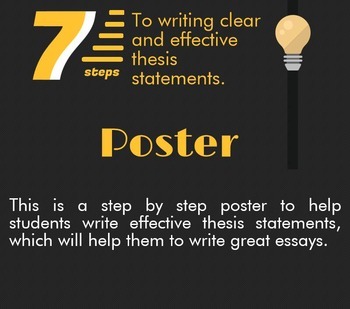 You could also use the responses as the start of a journal entry or writing project. This Lord of the Flies Unit has everything required to teach this unit. All of the thinking and preparation has been done for you. 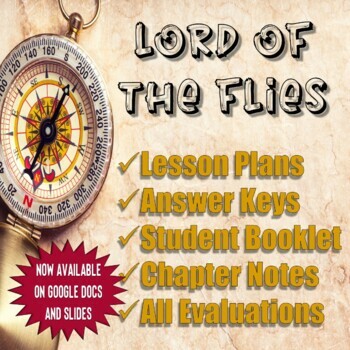 Everything you need to teach The Lord of the Flies by William Golding is found in this unit. 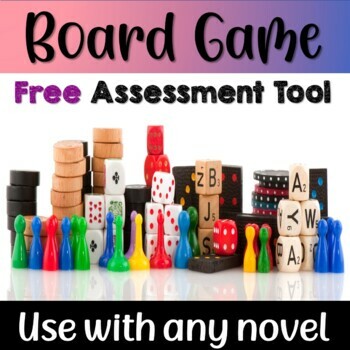 • Includes journal prompts to further students’ understanding and to understand thematic development in the novel further. • Links to audiobooks for easy chapter reading. • The Answer Key for all student work. 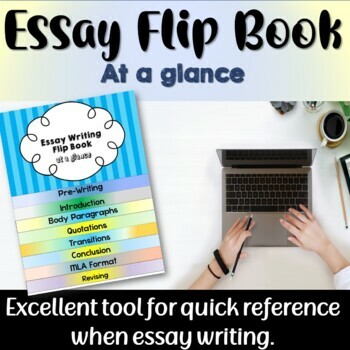 • Includes comprehensive chapter notes to help with reviewing chapters previously read and allowing students to take notes concerning important information. All tests have two versions – which is nice when you teach more than one group at a time. 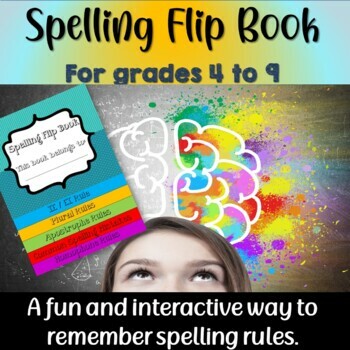 • 17 complete and detailed lesson plans to guide and orient your students. Journal prompts with ideas to further discussion, step by step instructions… This makes for super easy planning. The unit includes 103 pages and 76 slides. Lesson 7: Civilization vs. Savagery (Includes cyber bullying and dangers of social media, etc.…) Practical applications from the novel. You’ll never have to worry about what you will be teaching on any given day, and the unit is modifiable for your convenience. This set includes both color and black and white templates. I have also included a Happy New Year’s sign in both color and black and white. I hope you find these helpful as you set goals for the upcoming year. Check out some of my other Christmas and Holiday products. 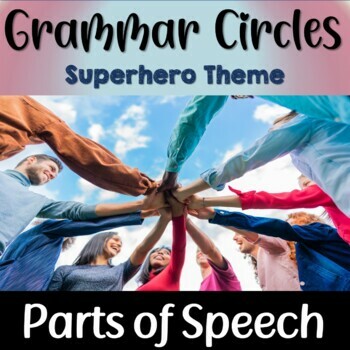 This activity is devised to help students develop characterization and their archetypal purpose regarding themes in the novel. Lord of the Flies is an allegory and this activity helps students discover each of the characters’ archetypal and symbolic purpose. Free New Years: Happy New Year Fun with Seasonal Vocabulary Freebie! 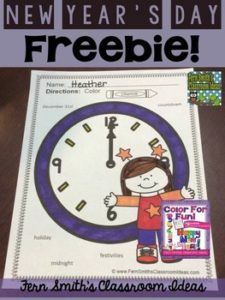 Color For Fun Printable Coloring Page! If you like this New Years Freebie you will love the larger resource, Happy New Year with Seasonal Vocabulary Color For Fun Resource. This resource has two to five seasonal words per page similar to a Richard Scary Book or I-Spy Game. 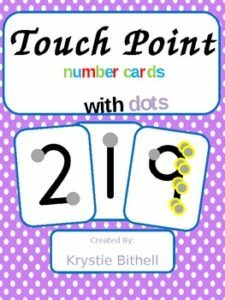 Terrific practice for your Emergent Readers while still bringing fun and joy to your Non-Readers. This is a great activity to share with your students in celebration of Dr. King’s life and dream. 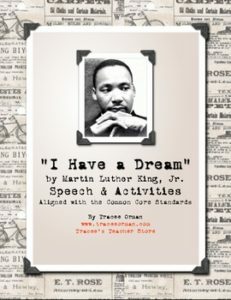 Activities are aligned with the Common Core Standards for grades 6-12 and include: a copy of King’s “I Have a Dream” speech with figurative language questions, general questions, social studies research project, writing prompt, word scramble, service project prompt, and additional activities to use in class. Great resource to celebrate Martin Luther King Jr.’s birthday in January, Black History month in February, anniversary of “Dream” speech (on Emmitt Till’s death anniversary) in August, for any speech/communications course, non-fiction reading, poetry units, or connections to novels like To Kill a Mockingbird, Cry the Beloved Country, Invisible Man, Number the Stars, Roll of Thunder, Hear My Cry, Uncle Tom’s Cabin, Native Son, Seedfolks, and more. 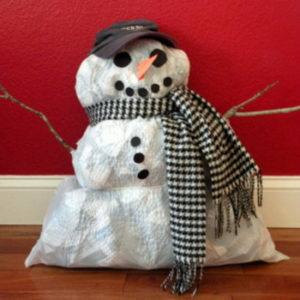 A fun 3-dimensional “pretend” snowman, who is stuffed and big like a real snowman. The project is a fun art activity, where teamwork and imagination work together.